The 20,000 figure was reached on 1 December 2016, when IOM Turkey facilitated 282 departures. 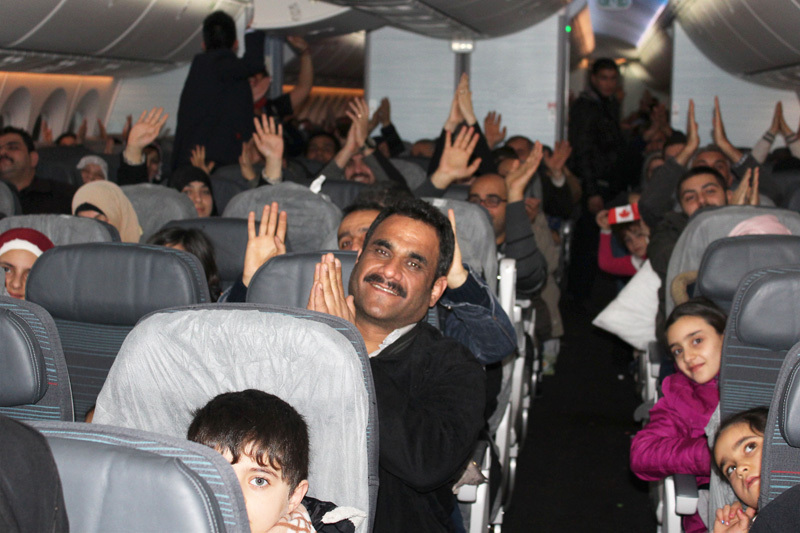 These included the resettlement of 14 refugees to Canada, four to Finland, 124 to Germany, 50 to the Netherlands, 11 to Norway, three to Sweden, 69 to the United States, together with the assisted voluntary return of seven Afghan nationals. The total number of IOM assisted departures from Turkey now stands at 20,176. Joseph, 25, a Christian, fled from Syria to Turkey with his brother in June 2015. When the war started in Syria, he was studying electrical engineering, but had to stop. “I have some certificates, but I need to finish my degree. I am so happy to fly to Canada today. I will study again, finally,” he said, as he waited to board his flight. In 2016 IOM activities significantly increased in Turkey, following the EU-Turkey agreement. Turkey is now IOM’s third largest refugee resettlement programme worldwide after Jordan and Lebanon. “The accelerated pace of resettlements of refugees in 2016 is a welcome development within the wider context of the Syrian crisis. While the increased rate heartens me, I still believe that further, sustained actions need to be taken to support the huge number of refugees who are still waiting to be resettled,” said IOM Turkey Chief of Mission Lado Gvilava.